Hello abstract-loving blog readers! 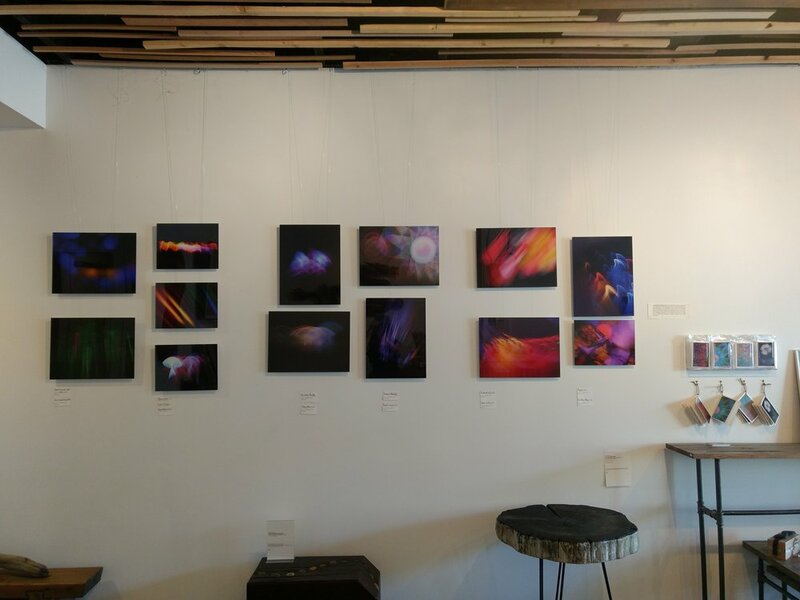 Big news this week: my work has been accepted into the LUMINESCENCE IV exhibit at the Deer Lake Art Gallery in Burnaby, BC! The exhibit is a celebration and showcase of artworks based upon or inspired by light. A perfect concept, don’t you think? I’m very excited and honoured to have work included in the show, and very much looking forward to seeing the other creations by my fellow light-loving local artists. If you’re around the Vancouver / Burnaby area, I hope you’ll drop by and check it out. This morning I hung my second solo exhibit! A collection of 48 images titled “The Light of All Things” is now hanging in the Unitarian Church (Oak St and 49th Ave in Vancouver, BC) - 12 large prints in the sanctuary, and the remainder of smaller prints in a community room. Selecting images for a church was an interesting experience… I wanted to choose things that might resonate in a spiritual way, as these will be seen by weekly worshippers, but also images that I felt confident in presenting. I think I found a good balance, and I’m thrilled with the large prints. It’s so exciting to see these images in tangible form, and when that form is 24’’x36’’ of deeply saturated colour on crisp, robust paper - ah! Satisfaction!